Ensure you view picture of donor motor vehicle to confirm suitability. THIS DOES NOT INCLUDE NI, ROI, HIGHLANDS OR OFFSHORE ISLANDS. VEHICLE REF: BF54. Taken from a 2002 car in great condition. REAR VIEW MIRROR. Version Trim. Collection from our East London Site. CALL 0208 523 6111. IF YOU REQUIRE ANY INFORMATION. Engine Size. Used _ good condition -fully worked. Best Regard. 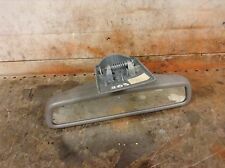 MERCEDES CLK 320 A209 2003-2009 REAR VIEW MIRROR (SENSOR TYPE). Condition is Used. Dispatched with Royal Mail Signed For® 2nd Class. All gearboxes must be filled with new oil, to the correct level upon installation. UK Mainland - cost as listed. Northern and Southern Ireland. Highlands and Islands. England, Wales, Scotland (excluding Highlands and Islands). All Engines. When buying a vehicle engine you are buying the engine only. All ECUs, MODULES and electrical goods are tested prior to being dispatched. ORION GREY. C CLASS CLK. INTERNAL REAR VIEW MIRROR. We have recently sent a clutch plate to Vietnam and an engine to Sweden so it can be done. We are more than happy to help you identify the part that you need! Model CLK Class CLK63 AMG A209. Colour Code. We do not cover labour costs associated with fitting parts under any circumstances. GT Auto Spares is a specialized automotive dismantler of many makes and models of exotic, performance sports and premium vehicles. 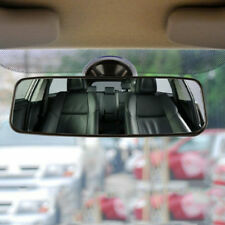 INTERIOR REAR VIEW MIRROR IN GREY WITH SELF DIMMING. COLOUR BLACK CODE 197. PART NUMBERS INCLUDE. Modell/Typ CLK CABRIOLET (A209) CLK 320. REAR VIEW MIRROR GREY AUTOMATICALLY RAERVIEW. INSIDE MIRROR. Internal No. There can be from the manufacturers production changes in the current models. Spare parts information. INTERIOR REAR VIEW MIRROR IN GREY DIMMING. COLOUR BLACK CODE 197. PART NUMBERS INCLUDE. P/N - A2038101517. MODEL CLK C209 W209. BODY COUPE. ITEM CONDITION. MILEAGE 95K. Please be aware this part is used, previously fitted second hand item. There may be some cosmetic scratches and or marks. Please view all images. All parts are supplied with a 6 Month Guarantee (Please view our Terms of Sale) The information below shows details of the donor vehicle. This is to be used as a guide only. Any mileage information shown is not guaranteed. FULLY WORKING CONDITION. We have recently sent a clutch plate to Vietnam and an engine to Sweden so it can be done! Not sure if a part is compatible with your vehicle?. we are more than happy to help you identify the part that you need! FROM C CLASS W203. We are gladly at your service for any further queries. Goods will only be dispatched upon cleared funds. Mon - Fri 9:00 - 18:00. Key Features. (Except Malta, Cyprus, Canary Islands). REAR VIEW AUTO DIM MIRROR. GENUINE PART. 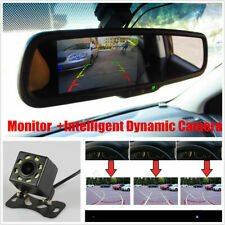 Adjustable Dipping Anti Glare Rear View Mirror. Self Adhesive Fitting. Self adhesive stick on style. Easy fitting via self adhesive pad (supplied). make Supersized seem small. Ideal for driving instructors. Part number 2088100117 / A2088100117. FROM CLK CLASS W208. We are gladly at your service for any further queries. Goods will only be dispatched upon cleared funds. Key Features. (Except Malta, Cyprus, Canary Islands). 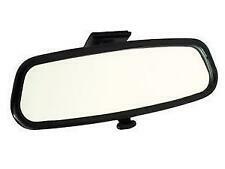 AUTO DIM REAR VIEW MIRROR. GENUINE PART. Part number 2088100117 / A2088100117. FROM C CLASS C210. We are gladly at your service for any further queries. Goods will only be dispatched upon cleared funds. Key Features. Ending Soon. (Except Malta, Cyprus, Canary Islands). FROM C CLASS W203. Good working condition. We are gladly at your service for any further queries. Goods will only be dispatched upon cleared funds. Mon - Fri 9:00 - 18:00. (Except Malta, Cyprus, Canary Islands). ( A2088100117 7C45 ). A208 810 01 17/ 7C45. for C-class W202 & W203, E-class W210, CLK W208 & W209. C CLK CLASS W203 W209. We are gladly at your service for any further queries. Goods will only be dispatched upon cleared funds. Key Features. (Except Malta, Cyprus, Canary Islands). Model: CLK CLK270 CDI AVANTGARDE Manf Date Trim Type: COUPE Reg Date: 05-11-2004. Colour: BLUE VIN: WDB2093162F137090. An item has been previously used. Door plan: 2 Reg Date UK: 05-11-2004. FROM CLK CLASS W209. We are gladly at your service for any further queries. Goods will only be dispatched upon cleared funds. Mon - Fri 9:00 - 18:00. Key Features. (Except Malta, Cyprus, Canary Islands). Part number 2088100117 / A2088100117. FROM C CLASS W203. We are gladly at your service for any further queries. Goods will only be dispatched upon cleared funds. Key Features. Mon - Fri 9:00 - 18:00. STRONG x 4 Car interior mirror, double side stick on pads. (mirror not included) 4 pieces supplied. 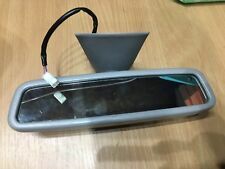 If your mirror has fallen off the windscreen, unless it is the type that is screwed on or fixed to the car, you will need one of these to fix it back on. This will not work on very heavy electric mirrors. The Best way to fix it back on is to clean the glass with some type of alcohol mentholated spirit Brandy, whiskey that type thing, not white spirit. Also make sure the mirror is cleaned also the same way. Then peel back one side of the pad and stick it on the mirror. When the weather is cold outside any sticky pad will not work properly and may fall off. So the best thing is to get a hair a dryer if you can. Warm up your windscreen and the interior mirror before you peel back the. Part number 2088100217 / A2088100217. We are gladly at your service for any further queries. Goods will only be dispatched upon cleared funds. Mon - Fri 9:00 - 18:00. Key Features. Ending Soon. (Except Malta, Cyprus, Canary Islands). Part number 2088100117 / A2088100117. FROM C CLASS W202. We are gladly at your service for any further queries. Goods will only be dispatched upon cleared funds. Key Features. Mon - Fri 9:00 - 18:00. Part number: A2038102517. Year - 2008. Body type - Coupe. RHDrefers to part from right hand drive vehicle (found in UK, Australia and others). Our consultants can also be reached on Skype -. 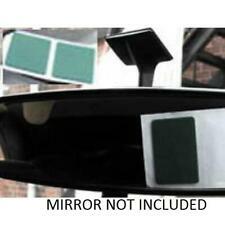 Adjustable Dipping Anti Glare Rear View Mirror. Suction Cup Fitting. Easy fitting via suction cup (supplied). make Supersized seem small. UNIVERSAL FIT.